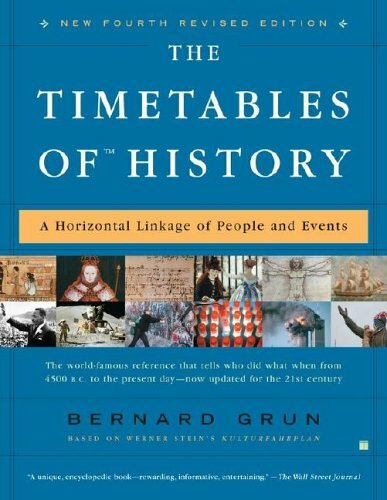 A vast and absorbing resource, the fourth edition of The Timetables of ™History spans millennia of human history. Unlike any other reference volume, this book gives a sweeping overview of the making of the contemporary world by mapping out at a glance what was happening simultaneously, from the dawn of history to the present day. The Bible has had an immeasurable influence on Western culture, touching on virtually every aspect of our lives. It is one of the great wellsprings of Western religious, ethical, and philosophical traditions. It has been an endless source of inspiration to artists, from classic works such as Michaelangelo's Last Judgment, Handel's Messiah, or Milton's Paradise Lost, to modern works such as Thomas Mann's Joseph and His Brothers or Martin Scorsese's controversial Last Temptation of Christ. For countless generations, it has been a comfort in suffering, a place to reflect on the mysteries of birth, death, and immortality. Its stories and characters are an integral part of the repertoire of every educated adult, forming an enduring bond that spans thousands of years and embraces a vast community of believers and nonbelievers. 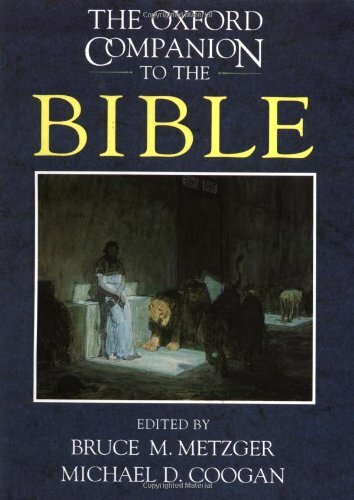 The Oxford Companion to the Bible provides an authoritative one-volume reference to the people, places, events, books, institutions, religious belief, and secular influence of the Bible. Written by more than 250 scholars from some 20 nations and embracing a wide variety of perspectives, the Companion offers over seven hundred entries, ranging from brief identifications--who is Dives? where is Pisgah?--to extensive interpretive essays on topics such as the influence of the Bible on music or law. Ranging far beyond the scope of a traditional Bible dictionary, the Companion features, in addition to its many informative, factual entries, an abundance of interpretive essays. Here are extended entries on religious concepts from immortality, sin, and grace, to baptism, ethics, and the Holy Spirit. The contributors also explore biblical views of modern issues such as homosexuality, marriage, and anti-Semitism, and the impact of the Bible on the secular world (including a four-part article on the Bible's influence on literature). Of course, the Companion can also serve as a handy reference, the first place to turn to find factual information on the Bible. Readers will find fascinating, informative articles on all the books of the Bible--including the Apocrypha and many other ancient texts, such as the Dead Sea Scrolls, Pseudepigrapha, and the Mishrah. Virtually every figure who walked across the biblical stage is identified here, ranging from Rebekah, Rachel, and Mary, to Joseph, Barabbas, and Jesus. The Companion also offers entries that shed light on daily life in ancient Israel and the earliest Christian communities, with fascinating articles on feasts and festivals, clothing, medicine, units of time, houses, and furniture. Finally, there are twenty-eight pages of full-color maps, providing an accurate, detailed portrait of the biblical world. A vast compendium of information related to scriptures, here is an ideal complement to the Bible, an essential volume for every home and library, the first place to turn for information on the central book of Western culture. The ultimate anthology of anecdotes, now revised with over 700 new entries - a must-have reference for every personal library. From Hank Aaron to King Zog, Mao Tse-Tung to Madonna, Bartlett's Book of Anecdotes features more than 2,000 people from around the world, past and present, in all fields. These short anecdotes provide remarkable insight into the human character. Ranging from the humorous to the tearful, they span classical history, recent politics, modern science and the arts. 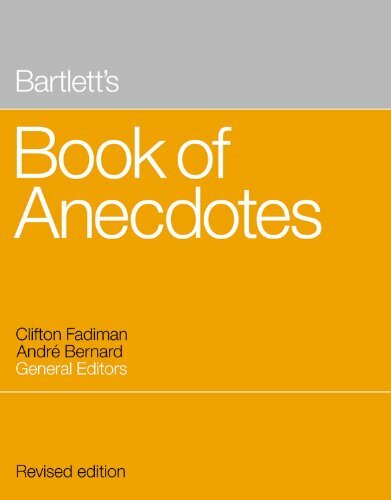 Bartlett's Book of Anecdotes is a gold mine for anyone who gives speeches, is doing research, or simply likes to browse. As an informal tour of history and human nature at its most entertaining & instructive, this is sure to be a perennial favorite for years to come. 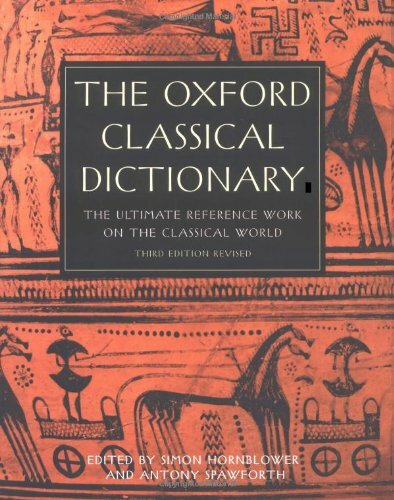 For almost half a century, the Oxford Classical Dictionary has been the unrivaled one-volume reference work on the Greco-Roman world. Whether one is interested in literature or art, philosophy or law, mythology or science, intimate details of daily life or broad cultural and historical trends, the OCD is the first place to turn for clear, authoritative information on ancient culture. This newly revised and completely up-to-date third edition of this historic reference adequately reflects the recent expansion in the scholarship and scope of classical studies. Here, in over six thousand entries ranging from long articles to brief identifications, readers can find information on virtually any topic of interestathletics, bee-keeping, botany, magic, Roman law, religious rites, postal service, slavery, navigation, and the reckoning of time. The Dictionary profiles every major figure of Greece and Rome-and lesser known figures not found in other references-from Homer and Virgil, to Plato and Aristotle, to Julius Caesar and Alexander the Great. Readers will find entries on mythological and legendary figures, on major cities, famous buildings, and important geographical landmarks, and on legal, rhetorical, literary, and political terms and concepts, as well as extensive thematic articles that offer superb coverage of topics of interest to both scholars and general readers, exploring everything from medicine and mathematics to music, law, and marriage. With contributions and guidance from some of the finest classical scholars in the world, the Oxford Classical Dictionary has no equal in any language. It is the definitive summation of classical scholarship as it stands today. 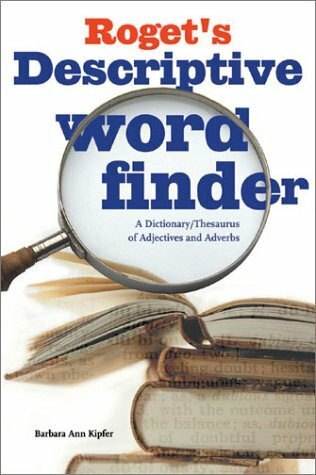 An author's guide to choosing the right word offers readers a topical organization to Roget's classic reference source of the right descriptive adjective or adverb. "American-born British author and master of esoterica ARTHUR EDWARD WAITE (1857¿1942) was cocreator of the famous 1910 Rider-Waite Tarot deck, and in 1911, he published what is still an essential guide to unleashing the prognosticatory power of the cards. Discover the history of the tarot, the secret traditions that inform it, and¿most vitally¿detailed explanations of each of the cards in the tarot deck and what they signify, including: ¿ the High Priestess (and what the scroll in her hand represents) ¿ the Lovers (and what mythological couple they evoke) ¿ the Wheel of Fortune (and what dangers it implies) ¿ the Hanged Man (and the significance of the tree of sacrifice) ¿ and all the rest of the cards. Complete with all the illustrations from the original 1911 edition, this information and entertaining work will delight anyone interested in the tarot, in mythological symbology, and everything arcane." 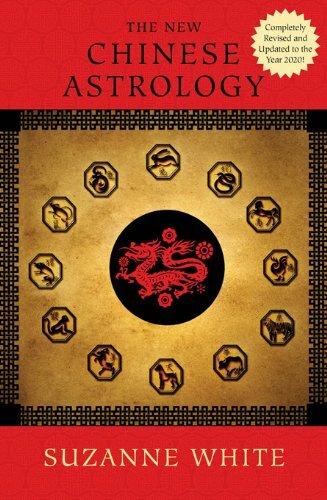 In Suzanne White's revised and updated New Chinese Astrology, the world-famous astrologer and bestselling author demystifies the complexities of the Chinese Zodiac. This fun-to-read volume describes each animal sign's individual characteristics, special capabilities, and particular health problems. White also explains in depth how the Chinese element that rules the whole year affects each individual sign. Discover the terrible Tiger's inimitable charms and glaring foibles. Find out why Rats get married so often and why Goats make perfect hippies. Even learn why Oxen should avoid spicy foods! All you need is a date of birth to figure out anyone's animal sign. This savvy book tells us how people of the various signs combine and relate to one another as friends, lovers and colleagues. Suzanne White reveals which matches are truly harmonious--and which unions could be a recipe for disaster. She explains which celebrities were born under the various signs, and offers valuable advice for improving your destiny. 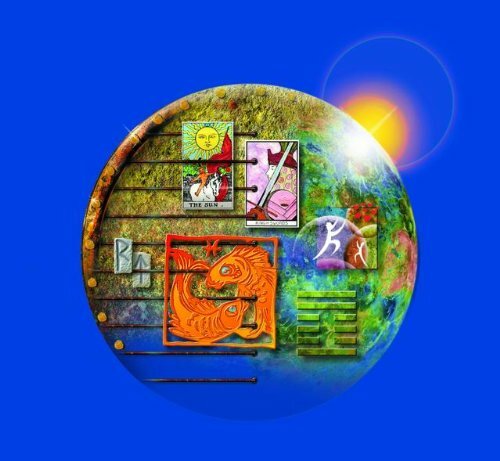 Best of all, The New Chinese Astrology predicts what the upcoming years bode for you, your friends, and even your enemies. Lively, accessible, and witty, this book is full of invaluable advice. Whether you're a seasoned expert or merely curious about your own or your loved ones' Chinese animal signs, Suzanne White's New Chinese Astrology is an indispensable aid to those seeking a higher understanding of human nature. Master astrologer Linda Goodman provides fundamental and practical insight into the power of love in this world-famous and sensationally bestselling guide. Can a Gemini man find happiness with a Virgo woman? Will it be smooth sailing or perpetual fireworks for the Scorpio female and the Libra male? 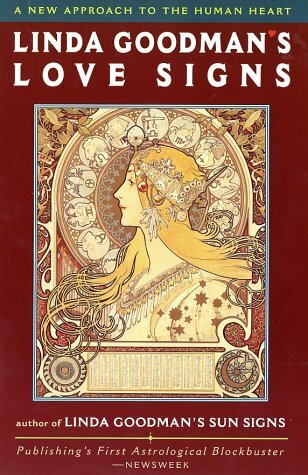 Linda Goodman's Love Signs offers compelling insight and advice for every zodiac sign—and the compatibility of each with all eleven others. Lively, entertaining, and informative, this book will help you better understand your mate and your relationship. From your finances to your lover's secret hopes, from your quirky habits to what you'll fight about, from avoiding war to making peace, this book will tell you what to expect and what to look out for. Whether you're embarking on a first date or are seriously involved, Linda Goodman's Love Signs will help you open up the lines of communication and unlock the power of your relationship. We often use euphemisms when dealing with taboo or sensitive subjects. We speak of "full-figured" women. We "fudge" on our income tax. We get "cold feet" before our wedding. In How Not to Say What You Mean, R.W. 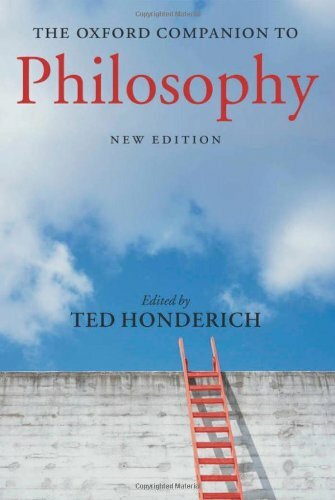 Holder offers an engaging volume that celebrates this human tendency to use mild, vague, or roundabout expressions rather than those which are blunt, precise, and true. Arranged in alphabetical order, this dictionary contains thousands of entertaining and informative entries ranging from such circumlocutions as a "fruit salad" (mixture of illegal narcotics), "arm candy" (a good-looking female companion), a "barrel-house" (a brothel), "birthday suit" (nakedness), and a "blue hair" (an old women). Completely updated, the dictionary provides definitions, examples, as well as historical explanations where appropriate. 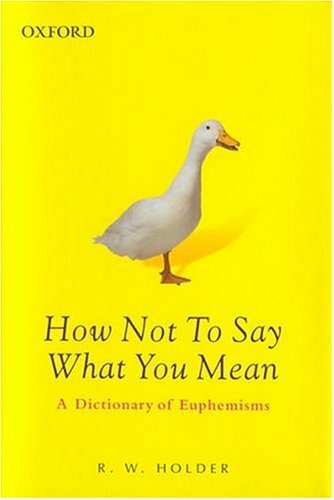 Fun, fascinating, lively, and at times shocking, this new edition of How Not to Say What You Mean is a browser's delight and will appeal to all language and word play lovers, and anyone looking for a good laugh. 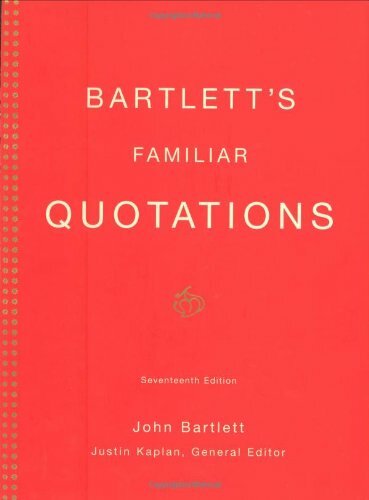 First published in 1855, BARTLETT'S FAMILIAR QUOTATIONS has been completely updated and revised for the seventeenth edition by Pulitzer Prize-winning biographer Justin Kaplan. This 17th edition, under Kaplan's splendid direction, contains over 20,000 quotations, representing 2,500 authors, 90 of whom are new to BARTLETT'S. New comers include Bill Clinton, Hillary Clinton, Tony Kushner, Tammy Wynette, Margaret Atwood, Mary Oliver, Maya Angelou, Frank O'Hara, Martin Amis, Kingsley Amis, Mother Teresa, Jacques Cousteau, Rudolph Giuliani, Alfred Hitchcock, L. M. Montgomery, Eric Ambler, Jerry Seinfeld, J.K. Rowling, Katharine Graham, and Emma Goldman. With quotations presented in chronological order, in the famous BARTLETT'S tradition, BARTLETT'S gives the reader a vast panorama of the world, from the ancient Egyptians to the latest movie, from the inspirational and the beautiful to the sardonic and the downright funny. Visually compelling and completely accessible, the Ultimate Visual Dictionary 2001 explains the world around us in a unique marriage of words and pictures unmatched by any other dictionary. Using more than 6,000 color photographs and illustrations -- each one annotated in detail -- it analyzes all aspects of the natural world and human achievement in stunning visual realism. Cutaways and exploded views provide an illuminating new perspective on everything from the inside of a volcano to the inner workings of a car. The scope of coverage is immense, featuring more than 31,500 terms, over 300 major entries, and 14 sections on everything from the prehistoric Earth and physics and chemistry, to sports, art, and music. 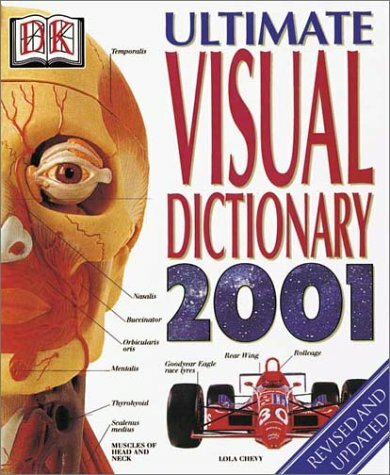 A treasure trove of knowledge for the entire family, the Ultimate Visual Dictionary 2001 helps you discover the answers to these and thousands of other questions: Where on a ship are the heads, eyes, and knees? Where on your body would you find your ala and your zygomatic bone? What kind of building has a drum and roll? What kind of substance is aa? How can you tell a Stegoceras from a Stegosaurus? 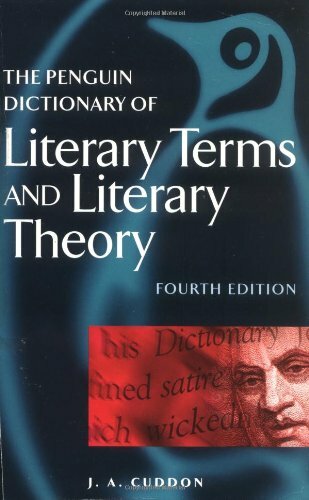 The latest installment of this trusted literary companion covers all aspects of literary theory, from definitions of technical terms to characterizations of literary movements. Geared toward students, teachers, readers, and writers alike, The Penguin Dictionary of Literary Terms and Literary Theory explains critical jargon (intertextuality, aporia), schools of literary theory (structuralism, feminist criticism), literary forms (sonnet, ottava rima), and genres (elegy, pastoral) and examines artifacts, historic locales, archetypes, origins of well-known phrases, and much, much more. Scholarly, straightforward, comprehensive, and even entertaining, this is a resource that no word-lover should be without. Creating realistic, well-developed characters that readers can believe in is one of the biggest challenges authors face. Careers for Your Characters makes it easier than ever by providing detailed descriptions for the ninety-nine most written-about professions - everything from ad executives to waiters. Each entry consists of a written description and a breakdown of the fine details,including education, salary, jargon, hazards, rewards and a typical daily schedule. 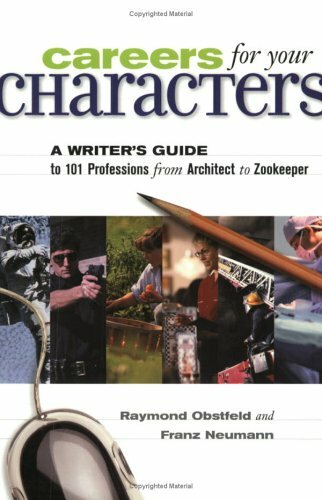 Packed with informative sidebars and call-outs, this reader-friendly, interactive reference enables writers of any skill level to create characters whose professional lives resonate with realistic details and insider insights. 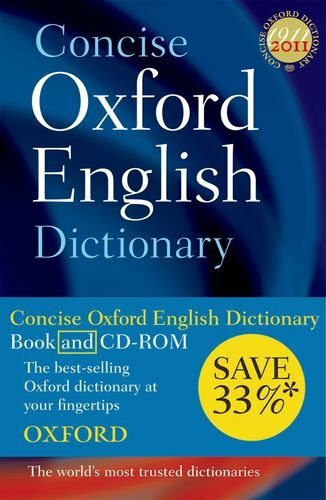 Now in print through its various editions for almost a century, the Concise Oxford English Dictionary is one of the most popular choices in Oxford's renowned dictionary line, selected by decades of users for its up-to-date and authoritative coverage of the English language. Now this successful dictionary is offered with a fully updated CD. Combining both the print dictionary and CD-ROM package, this set offers the user access to over 240,000 words, phrases and definitions. The CD-ROM version of the dictionary offers full-text search functionality, instant look-up from Windows documents (including email and the internet), and high-quality spoken pronunciations for thousands of words, making it ideal for family use, as well as for homework and school use. The CD-ROM is also Mac-compatible for the first time, due to brand new software. 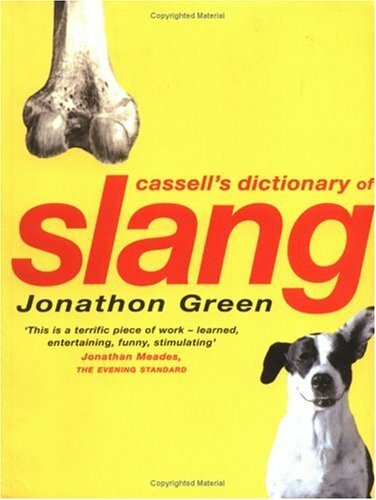 This edition also features a supplementary section, with quick-reference word lists (containing, for example, lists of Unusual Words, and Onomatopoeic Words), and a revised and updated English Uncovered supplement, which presents interesting facts about the English language. The volume retains such popular features as the hundreds of usage notes which give advice on tricky vocabulary and pointers to help you improve your use of English. 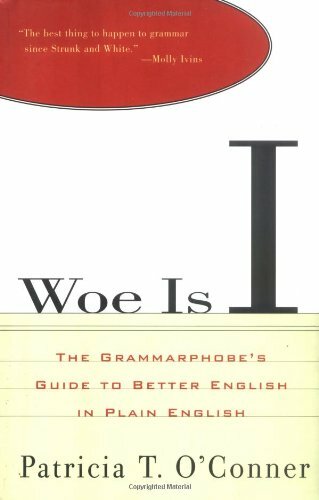 Finally, the dictionary contains full appendices on topics such as alphabets, currencies, electronic English, and the registers of language (from formal to slang), plus a useful Guide to Good English with advice on grammar, punctuation, and spelling. Authoritative and up to date, the Concise Oxford English Dictionary print-and-CD bundle offers unsurpassed coverage of English, perfect for anyone who needs a handy, reliable resource for home, school, or office. 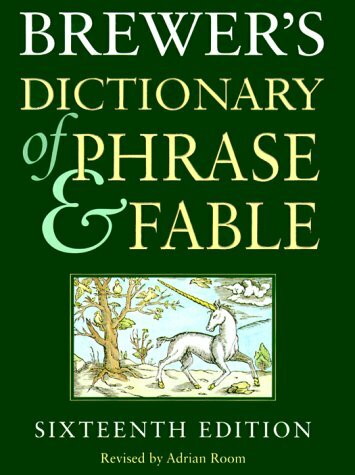 Brewer's Dictionary of Phrase and Fable is one of the world's best-loved reference books. First published in 1870, this treasury of 'words that have a tale to tell has established itself as one of the great reference classics-the first port of call for tens of thousands of terms, phrases and proper names, and a fund of fascinating, unusual and out-of-the-way information. At the heart of the dictionary lie entries on the meaning and origin of a vast range of words and expressions, from everyday phrases to Latin tags. Alongside these are articles on people and events in mythology and religion, and on folk customs, superstitions and beliefs. Major events and people in history are also treated, as are movements in art and literature, famous literary characters, and key aspects of popular culture, philosophy, geography, science and magic. To complete this rich mix of information, Brewer and his subsequent editors have added an extraordinary and enticing miscellany of general knowledge-lists of patron saints, terms in heraldry, regimental nicknames, public house names, and famous last words. historical and fictional characters (Attila the Hun, Anne Frank). Brand-new articles on hurricane names, celebrated place-names in literature, and frequently mispronounced words continue the century-old Brewer's practice of recording unexpected and fascinating information that is not available in other general reference books. 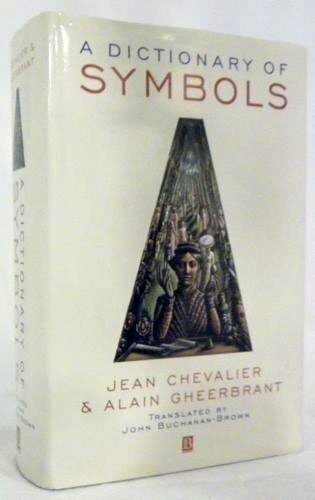 This is an inventory of symbols and the symbolic imagination. The editors and their fifteen contributors are drawn from a variety of scholarly backgrounds, from anthropology and ethnology to psychotherapy and art history. This diversity of approach is responsible for the book's character, a reflection of the multiplicity of symbols and signs and the phenomenal range of possible interpretations they offer. The book draws together folklore, literary and artistic sources, and focuses on the symbolic dimension of every colour, number, sound, gesture, expression or character trait that has benefitted from symbolic interpretation. The conscious and unconscious minds are explored, desire and dreams are treated alongside the known and the chronicled. Its 1600 entries are indexed to a comprehensive bibliography. Call your characters by their right names. This book will help you. Now you won't have to use baby name books or your teelphone directory for ideas for character names. 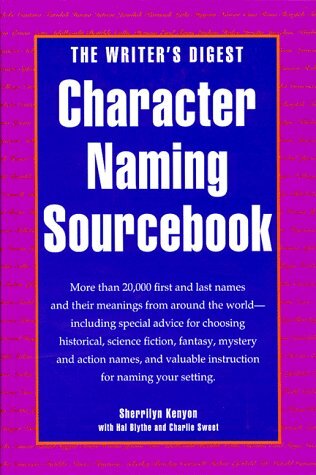 More than 20,000 character names are included right here, along with valuable instruction for selecting names, and how those names will affect your story. "...broadly entertaining resource 'covers the waterfront' with 'lingo' and 'bits and bobs' from English-speaking countries, including Australia, New Zealand, South Africa, the United Kingdom, Ireland, Canada, parts of the Caribbean, and the United States....features 70,000 words and phrases dating from the early 16th century to the present. Typical entries include parts of speech, etymology...time periods, geography, brief definitions...usage examples... occasional cross references. Entries such as 'nudnik'...'New York minute'...'La la Land'...and 'beam me up, Scotty'...will delight...readers. Libraries...will...want to purchase this resource because of its broader coverage and affordable price." --Library Journal. by: Mark H. Beers M.D. 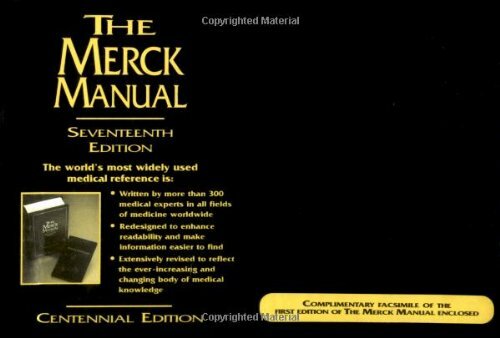 The most widely used medical reference in the world–more than 10 million copies sold in 18 languages since it was first published in 1899–revised, updated, and redesigned with more changes than any edition in the past twenty years. 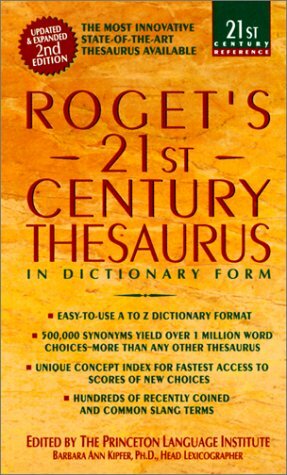 Putting a new spin on a classic idea, Roget's new thesaurus cross references each word with the same concept, while providing seventeen thousand main entry words and 450,000 synonyms, more than any other thesaurus.